In Part One of this article, we looked at some of the reasons why WordPress provides an ideal platform to market your business on social media. Search, find, segment, filter and organize users according to demographic criteria, their interests, etc. With this information, you can engage in meaningful conversations with consumers and pitch them your message. for businesses and WordPress users. 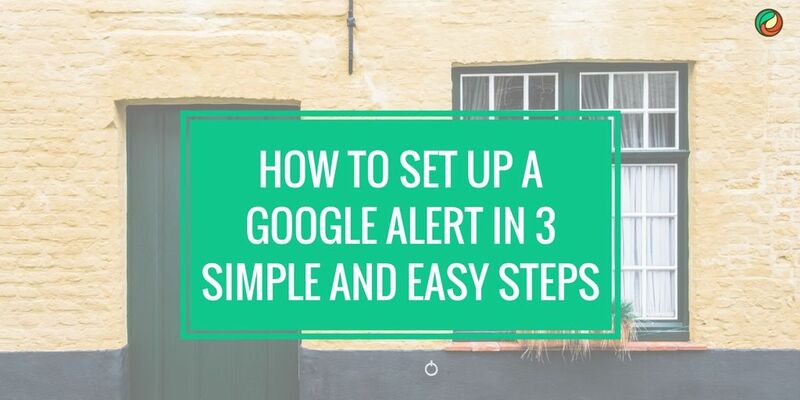 Google Alerts is one of the simplest and most useful tools available online for keeping up with news about all kinds of topics, staying informed about people, brands and companies, and tracking what other people are saying online about you and your business. It’s also free. Google Alerts is not only only a great social media monitoring tool for helping you manage your reputation online, but also for automatically receiving information about people, companies, and any other subject you want to know about. With Google Alerts, you subscribe to a keyword or topic and you’re done. Whenever Google’s indexing robots (Googlebot) crawl a new web site, news update, press release, blog post, a video, tweet, or any other indexable content related to the topic you’ve subscribed to, it will automatically send you an email or RSS update. Hootsuite is a social media management platform that lets you manage all of your social activities from an intuitive dashboard. Hootsuite provides social media management, social selling, social marketing, and social customer service solutions. Users can schedule Tweets and Facebook posts, monitor conversations, quickly create and customize analytics reports, streamline workflows amongst teams, departments, or regions, assign tasks, receive real-time notifications, have internal conversations, and add employees and clients to teams without sharing passwords. Hootsuite is one of the most used social media management tools (SMMT). It allows you to post to a large number of social networks (including their app directory), and provides integration with Twitter, Facebook, Google+, LinkedIn, Foursquare, WordPress and more. Buffer lets you schedule your social content. Add updates to your Buffer account and it will be posted for you. You can schedule updates for a day, week, or month. Scheduling times are preset, but you can change these in your settings. In addition to a web interface, Buffer also provides mobile apps and a web browser extension. SocialMetricsPro is a plugin that lets you monitor Tweets, Likes, Pins, +1s and other social signals from your WordPress Admin Dashboard. Some of the powerful features included in SocialMetricsPro include Excel-like conditional formatting, built-in and external widgets, sort, search and filter data, export data capabilities, 1-click autoupdate functionality, and a simple social SEO improvement system. Posting to Facebook, Linkedin, Twitter, and WordPress can be very time-consuming. To get all of these tasks done usually requires using different tools, applications, or plugins. With Sociocaster, you can do this all from one dashboard with just a few clicks. Sociocaster is a powerful tool for entrepreneurs and internet marketers. It includes powerful marketing and social features: professional image-sharing templates, royalty-free picture finder, bulk content importing and scheduling, unlimited social media account management (agency license), and much more. SproutSocial is a premium social media management tool aimed at small to large businesses as well as the enterprise sector. SproutSocial has a built-in CRM, advanced scheduling tools, monitoring, support for teams and multiple profiles, helpdesk, team collaboration tools, security features, analytics and reports, mobile apps, RSS feed integration, etc. SocialReport is a social intelligence platform that lets you track and manage all of your social network accounts from one place. It tracks the performance of your Facebook pages and Twitter profiles, website performance and blogs, and displays data from your social channels on a simple and intuitive dashboard. You can organize your data by customers or business, and track your own social profiles as well as profiles of others. Followerwonk is a Twitter analytics tools that lets you search Twitter bios, compare users, analyze their tweeting habits, track, sort and compare followers, match your activities to gains and losses in followers to give your followers what they like best, find and connect with new influencers in your niche, where they are located, when do they tweet, hone your social graph by following and unfollowing users, etc. ManageFlitter provides a set of powerful tools that help you work smarter and faster with Twitter. ManageFlitter lets you sort followers and following lists by a range of criteria, post tweets at the best time to reach your followers, easily search inside your Twitter stream to find and follow influencers for your business, use tweet analytics to track keywords and beat your competitors, find out who isn’t following you back, and more. Beevolve.com is a social media monitoring platform for SMBs, community managers, content marketers, analysts, and online marketers. Beevolve allows you to track your brand mentions, schedule and launch social media posts, and measure resulting sales, conversion, and engagement metrics, sentiment, buzz, etc. of all your posts from one platform. HowSociable is a simple social monitoring tool that lets you see how brands and businesses are mentioned across various social media platforms. HowSociable displays brand viability metrics on 30+ social channels. It delivers you a “social magnitude” score. This social numerical view lets you know how well you are doing on those social sites. Mention can help businesses monitor the web. Mention uses algorithms that monitor billions of data points, so when someone mentions your keyword online, you have real time actionable data that can help you with your business goals. Mention also allows collaborative monitoring. Google Analytics is not only a web analytics application used for measuring page views, visitor behavior, web traffic, bounce rates, etc., it can also track links from your website to your social accounts. Hootsuite has published a six-step guide on how to track social media links with Google Analytics on their blog. Facebook not only lets you add social plugins to your website, it also provides a comprehensive analytics tool called Facebook Insights. This tool lets you understand how your site is performing on Facebook. The Facebook Insights dashboard provides multiple metrics and analytics that can help see when users are on Facebook. You can then use this data to improve your marketing efforts. You can use Page Insights to see which of your posts are attracting the most comments, shares, and likes and to learn about your about your audience. You can then use this data to publish targeted content to Facebook users. Twitter Analytics let you see how your tweets are performing and gives you a breakdown of your tweets, followers, tweet impressions, profile visits, and top tweets linking back to you. The Twitter Analytics dashboard also provides you with useful information about your tweets in the form of Tweet highlights, allowing you to better plan your Twitter strategy. YouTube Analytics provides analytics to publishers. You can monitor the performance of your YouTube channel and videos with up-to-date metrics and reports like the overview, realtime, watch-time, engagement, and revenue reports. Pinterest Analytics lets you explore metrics about the people who engage with your business, what people like from your profile, what they save from your website, and how much traffic your site gets when you pin new content. With Pin insights, you can use the information to improve the way you pin. New tools and technologies are being launched each year to help businesses make sense of social media. Here are some other social media-related worth knowing about. Keep in mind that web technologies are continually evolving. If anything changes in the list below, please let us know. Create social Q&A communities. The Answerbase Q&A Platform allows users to ask questions, view Q&A content, and get their questions answered. Viralheat is a powerful data analytics tool that delivers insights from social media analytics. It is a highly scalable social media analytics and management platform. Viralheat offers predictive social analytics and a comprehensive social media management stream combining monitoring, publishing, analytics and reporting for all major social networks in an intuitive interface. Users can publish and schedule updates, follow conversations, access metrics and KPI, and deliver presentation-ready reports. Disqus is a free service that connects people online through blog discussions. Disqus is used by millions of websites covering pretty much any topic imaginable. Icerocket is a social search engine which allows you to search Twitter, Facebook, the blogosphere, or all at once for any keywords you like. Tailwind is a social media monitoring tool designed specifically for Pinterest users. It lets you schedule pins, monitor analytics, analyze industry trends and measure performance and results. TweetReach allows you to measure how well your tweets, keywords, hashtags, and search queries are performing on Twitter. TweetReach gives you insights about Twitter and snapshot reports. Refollow makes it easy to discover, manage, and protect your Twitter social circle. SocialBakers delivers deep, competitive social media analytics that tell you how your social performance stacks against the competition and wider industry benchmarks. You can create, manage, and optimize all your Facebook and Twitter ads in one place, quickly identify your best content and top posting times, gain insights about your audience, and track long-term brand performance. ThisMoment provides brands with opportunities to engage their customers online. Depending on what business you run, ThisMoment’s Content Cloud helps you find, mix and share a variety of content through different channels across the Enterprise. Tweepi provides multiple ways to search for users that might have an interest in your brand. Once you find your targeted group of users, you can easily interact with them by ‘following’, ‘adding to list’ or ‘@mentioning’ them. Twitter notifies those users via mobile notifications and email, and interested users may check your profile and follow you back. TweetDeck is a powerful Twitter tool for real-time tracking, organizing, and social engagement. 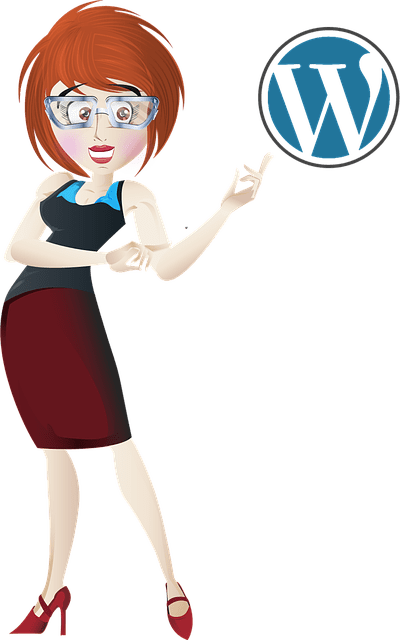 Hopefully this article has given you a better understanding of problems that can affect your website and how WordPress can help you get better results online. To learn more about the benefits of using WordPress for a business web site please check out the Learning Center.